Color, 2005, 120 mins. 26 secs. By the time he made Tideland, director Terry Gilliam had virtually abandoned any pretense of commercial filmmaking despite the arsenal of stars still at his disposal. A palate cleanser of sorts, this adaptation of Mitch Cullin's magical realism meets Southern Gothic novel was made just after initial production had finished for his very troubled production, The Brothers Grimm. 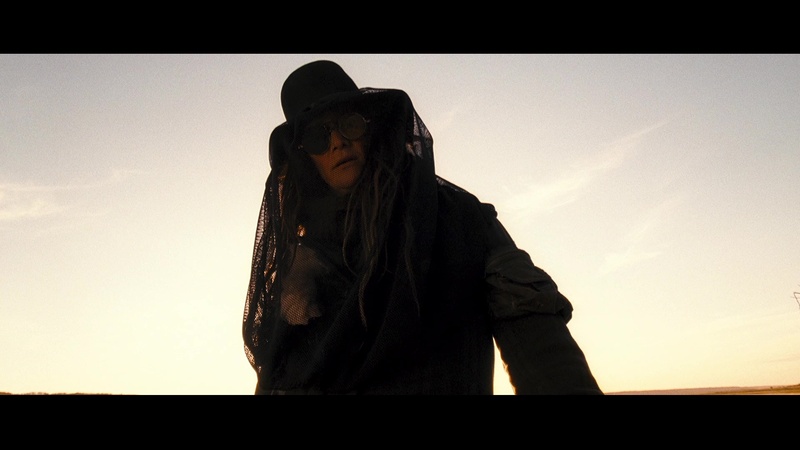 Much smaller in scale with a limited number of cast members, Tideland is Gilliam at his most aggressive and uncompromising, hurtling the viewer face first into a disturbing and stylish experience that took several years to really receive its due. Stuck in a miserable home life with her drug-addled parents, young Jeliza-Rose (Ferland) is forced to go on the run with her run-down rocker father, Noah (Bridges), after her horrific mother (Tilly) overdoses and chokes to death. They end up at an abandoned rural Texas farmhouse once owned by his mother, where the little girl is left to her own devices and descends into a split personality fantasy world by talking through several severed Barbie doll heads. Soon she encounters her two closest neighbors, unstable siblings Dell (McTeer) and Dickens (Fletcher), whose unhinged personalities pave the way for even darker events to come. 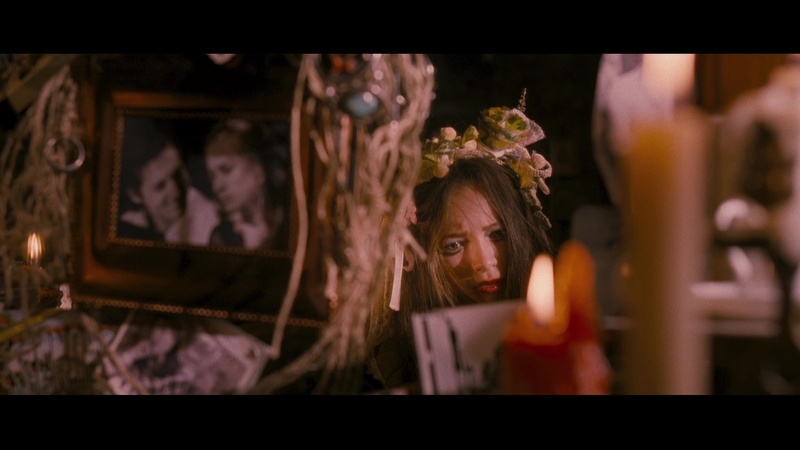 The hostile response to Tideland upon its release is understandable given that the film takes place entirely inside the head of an abandoned young girl spiraling into (hopefully temporary) madness, a state from which we're never given a moments' relief for the entire two-hour running time. 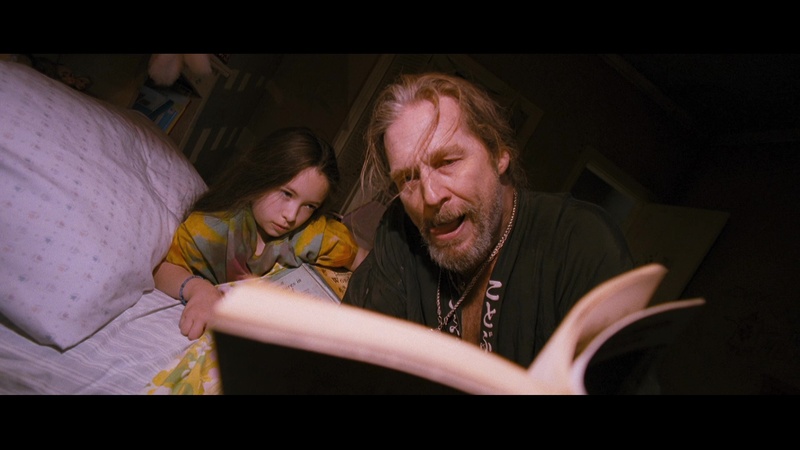 However, if you know what you're in for the film is a fascinating continuation of ideas Gilliam had been exploring for quite some time (most obviously Brazil and The Fisher King), here given a new twist by taking place from a prepubescent female perspective. 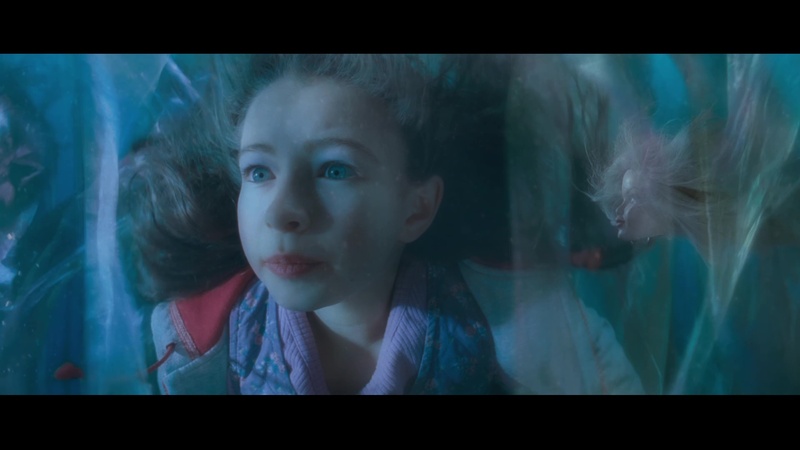 His grandiose The Adventures of Baron Munchausen had also revolved around a little girl, but she mostly bore witness to the events instead of being the center of them; here that formula is switched with the girl driving the entire film, and it's a testament to the young Ferland (later seen in Silent Hill, The Cabin in the Woods, and two Twilight films) that she never makes a misstep In a very difficult role. Tideland's festival appearances proved to be very divisive, not surprisingly, and it fizzled out completely with only a nominal theatrical release in the U.S. from THINKFilm. Interestingly, the film's U.S. DVD debut was one of the first times an aspect ratio became a really public bone of contention as the 1.78:1 presentation was disavowed by Gilliam, who wanted it to be wider, at least 2.1:1. At least that two-disc release came with many extras which have seen been ported over to subsequent releases. A wider UK DVD followed, but the first Blu-ray in 2005 from Germany was a huge step up with a still-impressive transfer and all of the preexisting extras. In 2018, Arrow Video revisited the film for Blu-ray in both the U.S. and U.K., which also marks the film's American HD debut. The same scan appears to be source here which is actually just fine considering how well it holds up; there's really nothing to gripe about with that or the swirling DTS-HD MA 5.1 English mix (which also features optional English SDH subtitles). 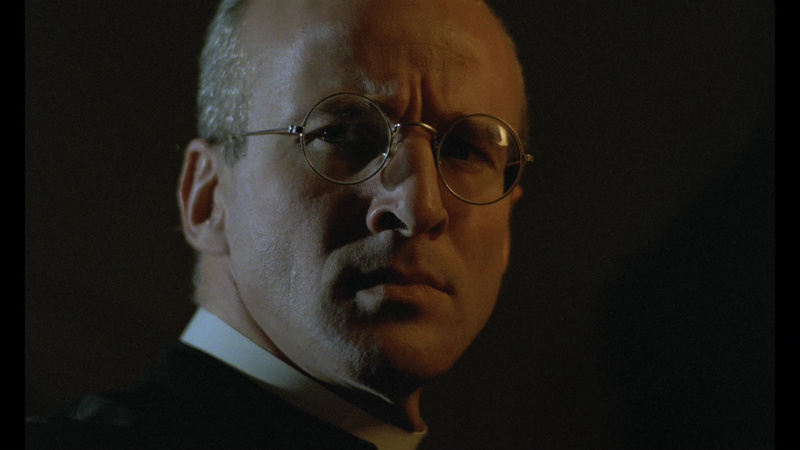 All of the preexisting extras have been compiled here including a typically chatty and humorous Gilliam commentary along with screenwriter Tony Grisoni, which touches on the film's unorthodox depiction of childhood, the hostile French reaction to fart sounds, and the generous rehearsal process, among lots of other subjects. Also included are a quick and amusing Gilliam video intro, an EPK-style making-of featurette (5m26s) with cast and crew sound bites, a peek at the film's green screen process (3m13s) including the floating Jeff Bridges, a batch of deleted scenes (5m59s) with Gilliam narration, the trailer, an HD production gallery (2m1s), a batch of raw b-roll footage (20m35s) from the production, and Vincenzo Natali's "Getting Gilliam" (44m46s), an "intimate portrait" of his directorial efforts from his early days to the time of this film, aiming to provide a peek into his "madman" process. Also included are three separate interview segments: Gilliam (14m30s), who addresses the film's fairy tale aspects and addresses the panicky male reactions to the film including freak outs over what was perceived by a few at the time as a (nonexistent) pedophilia subtext; producer Jeremy Thomas (9m33s), apparently doing a press junket and talking about his enthusiasm for the project from the book stage onward; and Bridges, Ferland and Tilly (4m49s), offering brief comments on the set of the film. As usual you get a choice of reversible art options, and the first pressing also contains an insert booklet with new liner notes by Neil Mitchell. Reviewed on August 11, 2018.